← 1997’s Cadbury Spice Girls Chocolate Bars! 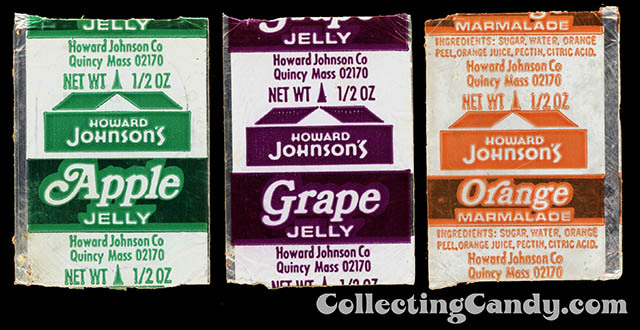 The Surprising Candy of Howard Johnson’s! I’ll often talk about how much I enjoy branded candy packaging that comes from unusual sources like private label or “store brands”. These aren’t your typical Hershey or Mars offerings in that you can only find them at specific retail outlets, so even in the modern age they can remain quite regionalized and hard to find. 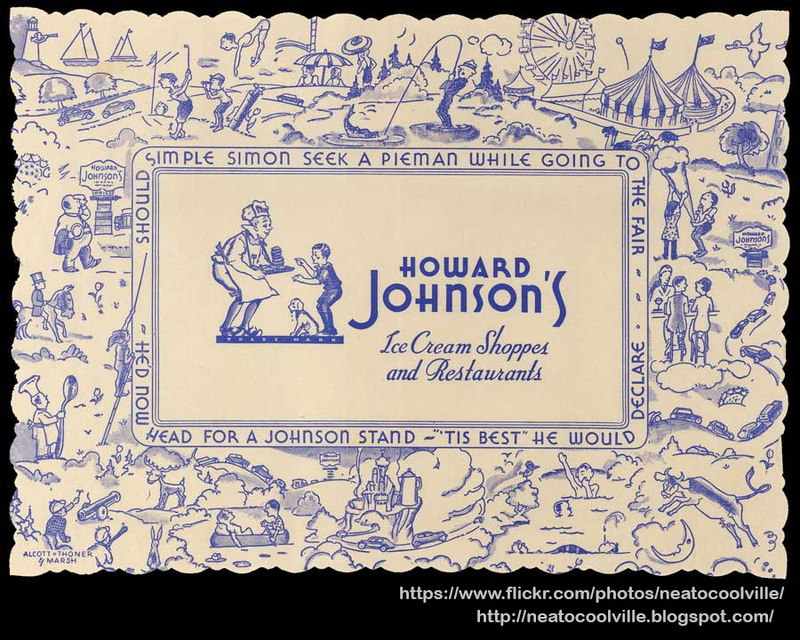 Howard Johnson’s is one such unusual source of branded confections, but it stands out due to its especially rich history. You see, Howard Johnson’s is one of a select group of businesses that is inevitably intertwined with the history and romance of what is known as “Roadside America” as well as a period when coffee shops and diners ruled the land. 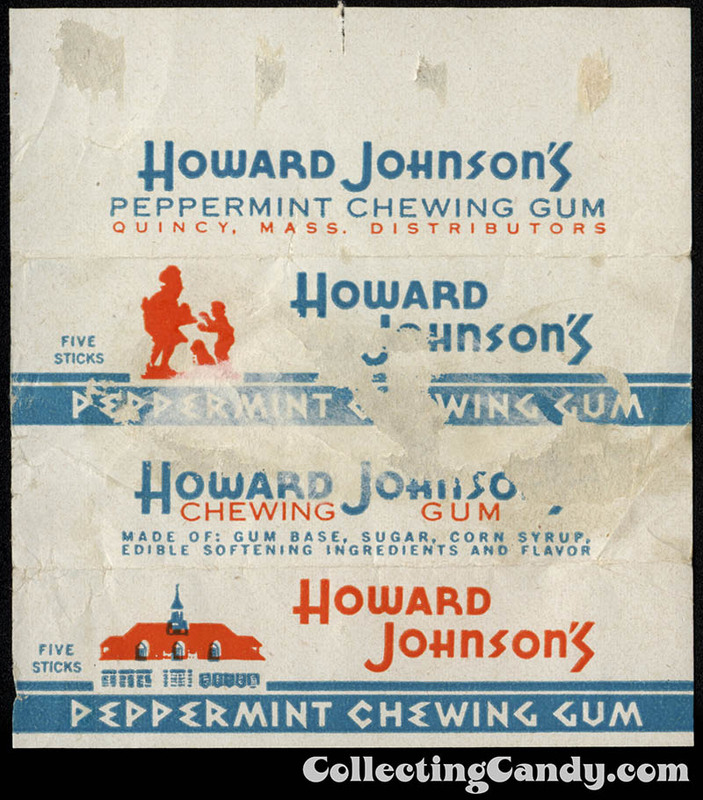 So make the jump to check out the surprising candy of Howard Johnson’s! 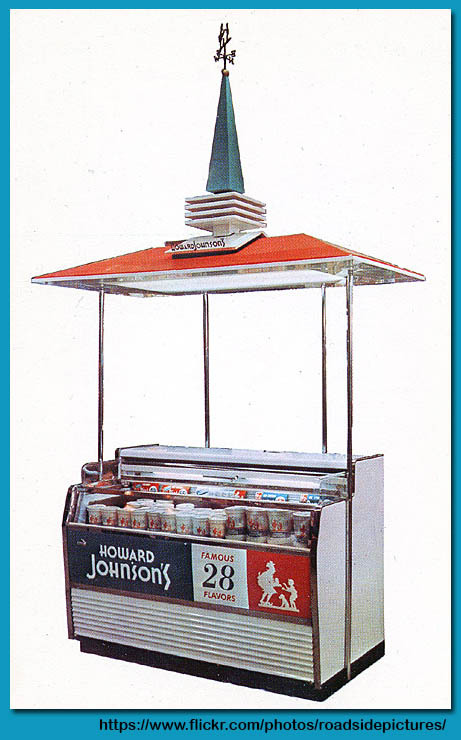 For those that only know of the modern HoJo’s and their Howard Johnson’s hotels, it should be noted that before the first hotels with that name were opened in the 1950’s, Howard Johnson’s was a chain of soda fountains/ice cream shops and restaurants. Tracing their origins back to the 1920’s, Howard Johnson’s as a restaurant went on to experience great success. Some stats point to it being the largest restaurant chain in the United States throughout the 1960’s and 1970’s. The last Howard Johnson’s restaurant in Manhattan closed down in 2005 (I was able to visit that Times Square location shortly before they closed) and from what I’ve read, there are sadly only two remaining HoJo restaurant locations still operating in the country. 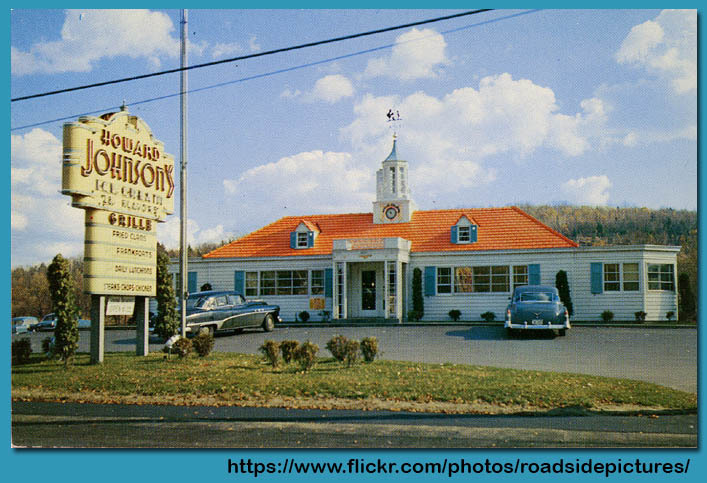 In their heyday, Howard Johnson’s locations were distinctive for their orange roof and peaked colonial-style towers. 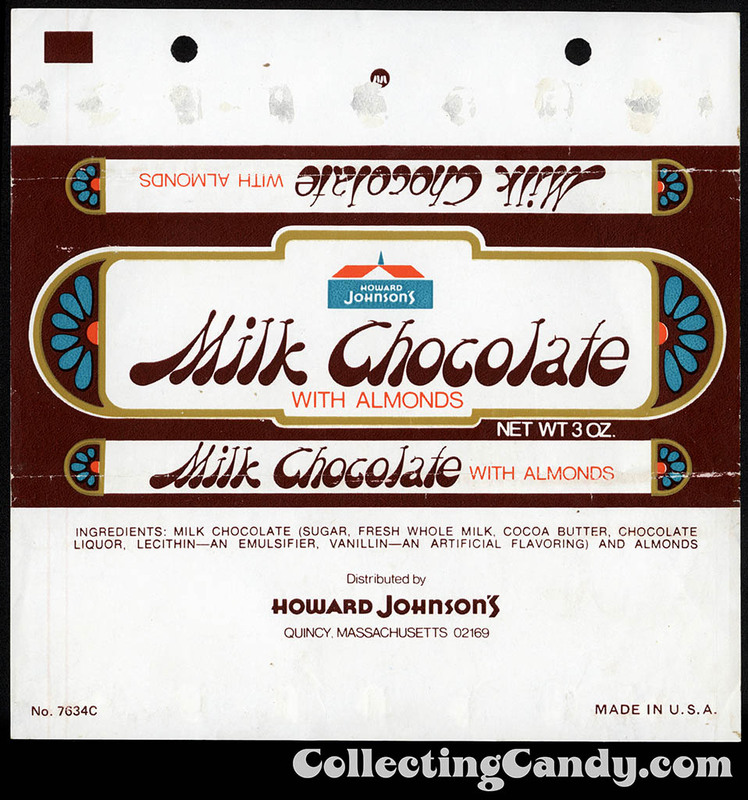 This is the era where I’m pleased to say I have a number of pieces in my Howard Johnson’s candy collection to share. 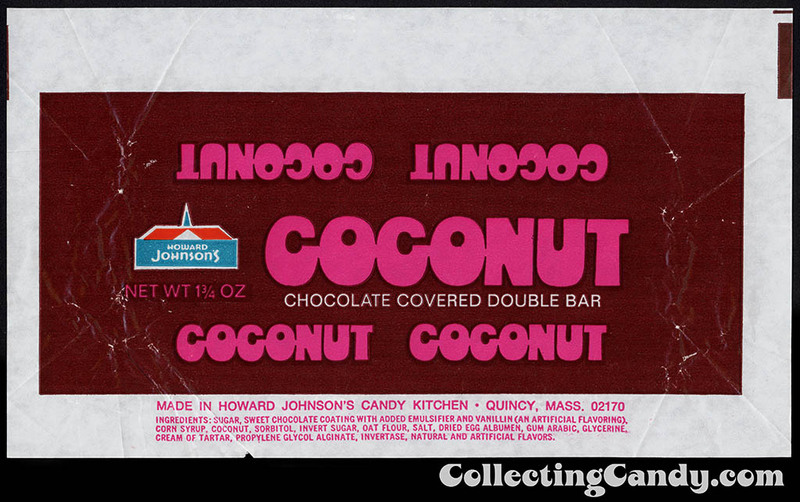 Here’s a 1970’s version of the same Howard Johnson’s Milk Chocolate Fudge bar wrapper seen earlier. Aren’t those fantastic? 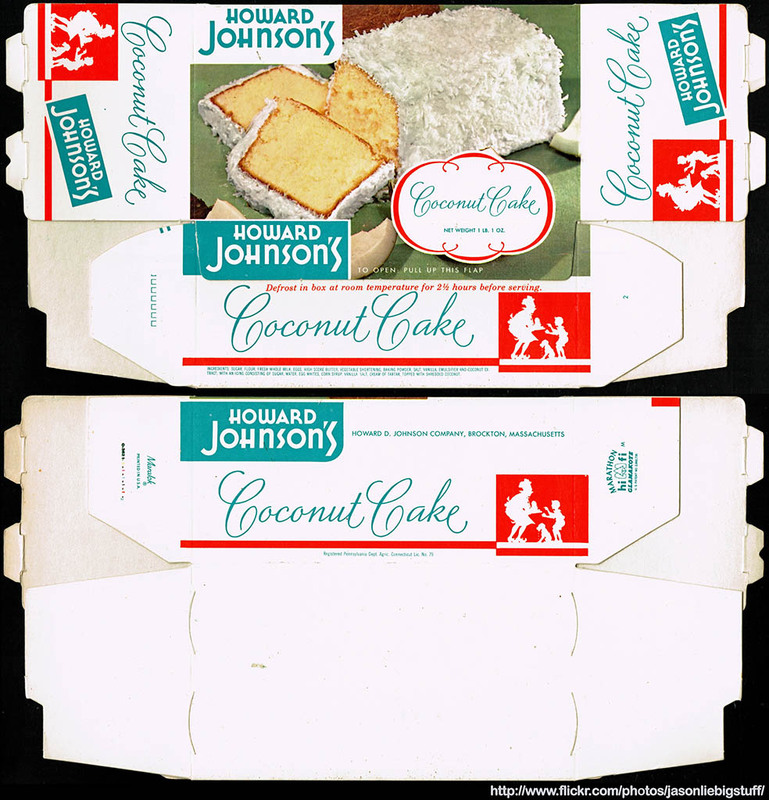 Howard Johnson’s had a pretty great packaging designer working for them in the 1970’s. I would love to find out who developed and worked on this private label brand back then. I should note that I first touched upon Howard Johnson’s branded candy back in April of 2012. Most of that material was incorporated and included in today’s feature, but I wanted to mention it. That’s everything I’ve got to share today on the surprising candy of Howard Johnson’s. It’s an area I never expected to contain so much interesting material. I hope you enjoyed it, and I’ll see you next time! 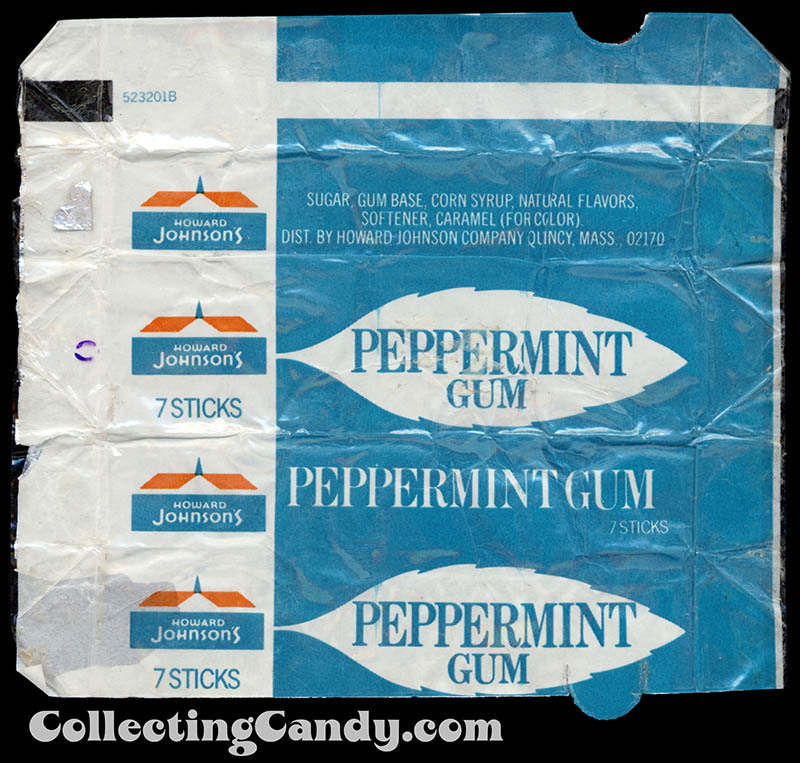 This entry was posted in 1950's, 1960's, 1970's, 1980's, Chocolate, Gum, Hard Candy and tagged 1950's, 1960's, 1970's, 50's, 60's, 70's, candy collecting, candy collection, candy collector, candy wrapper collection, candy wrapper collector, collectible, collecting candy, confectionery, confections, hotel, Howard Johnsons, motel, packaging, packaging design, private label, store brand, sweets, vintage candy wrappers, wrapper. Bookmark the permalink. 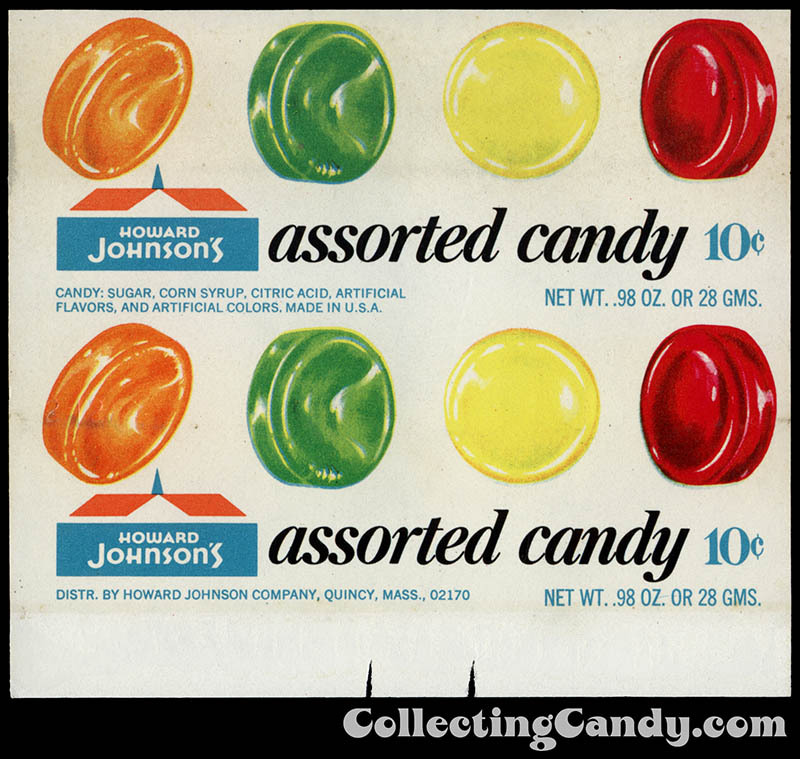 15 Responses to The Surprising Candy of Howard Johnson’s! 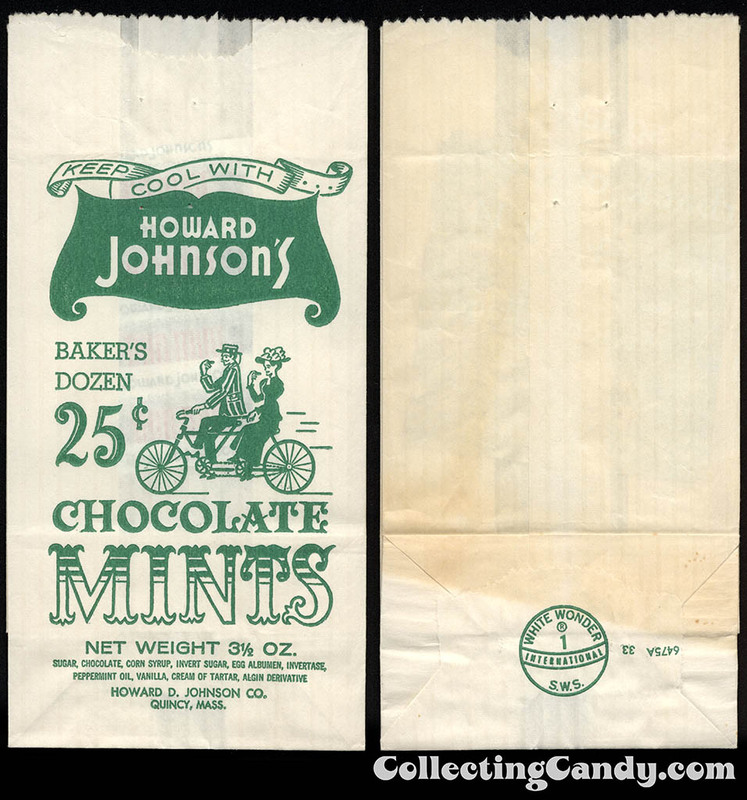 I also remember Howard Johnson’s Salt Water Taffy boxes in the late 1970’s. I remember stopping at Howard Johnson’s turnpike locations in the late 1970’s and early to mid 1980’s. I love that fudge wrapper. It’s so rare to see people 1) use a diagonal design and 2) use it well. Thanks for sharing. 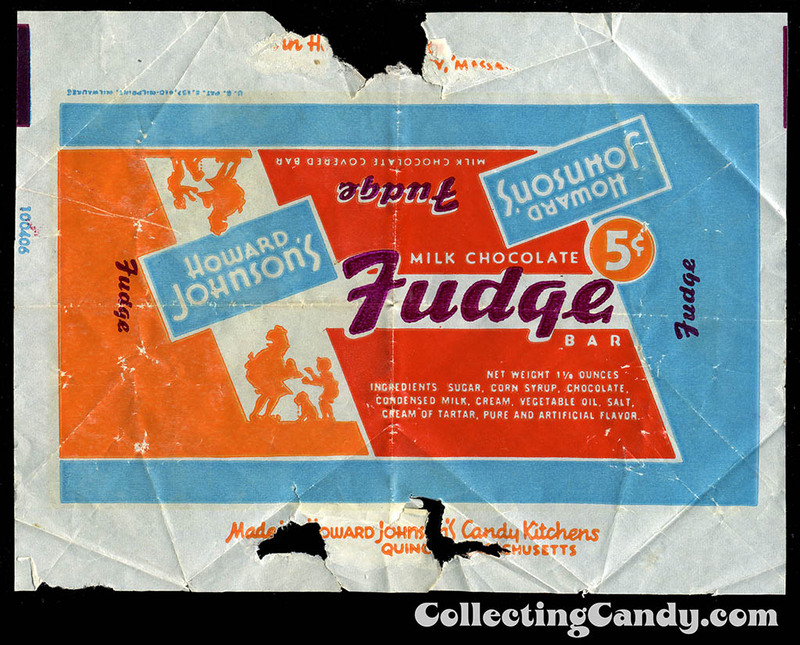 The old style candy wrappers, like the fudge bar pictured above, show up very rarely on eBay, where I’ve also seen the old-style coconut and crispettes wrappers. 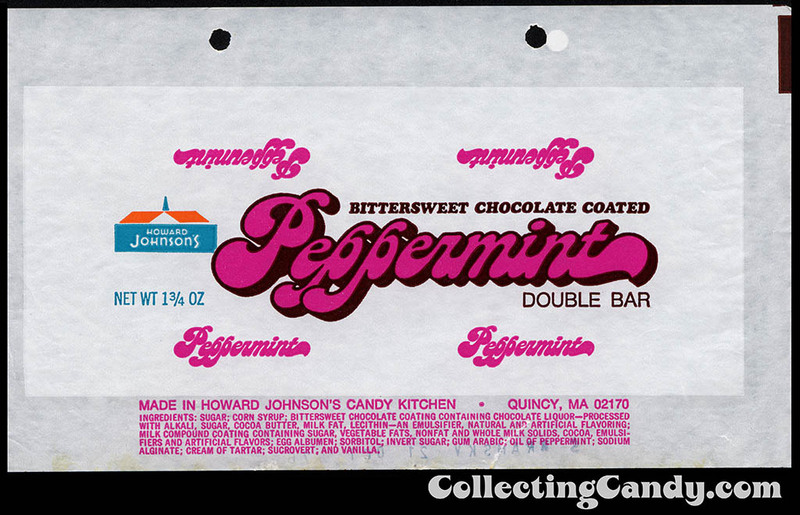 What I’ve NEVER seen, however, are any of the wrappers from the ice cream bars sold from the trucks that used to come through suburban neighborhoods in the early 1950s. 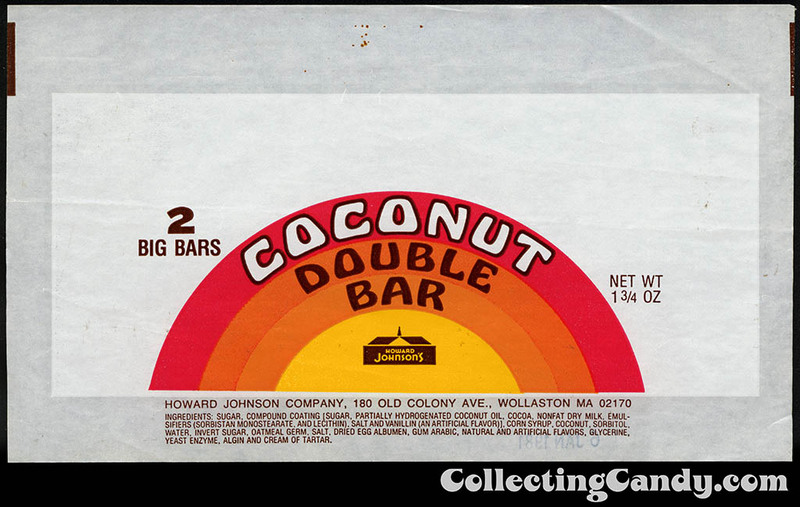 In particular, I remember a very colorful wrapper on the vanilla ice cream bar covered with toasted coconut, which sold for 10 cents. There were also chocolate covered vanilla bars and fudge bars. Has anybody out there run across any images of these? And, I forgot to mention, really good ice cream sandwiches, which which also a dime. Thank you so much for posting this. I worked in a HoJos in Massachusetts during the late 70s, while in High School. We stocked every one of the candies in your post, but I honestly don’t remember selling any of them. While it doesn’t qualify as candy, there were also distinctive cookies at each restaurant. We would garnish ice cream sundaes with an oval shortbread cookie, molded with the HoJos logo. Those toasties, along with the frozen macaroni and cheese (REALLY good) were the last vestiges of HoJo’s food you could buy in the supermarkets, and they were available long after all but a handful of HoJo restaurants (in name only) had closed. But I think it’s been at least a decade since I last found any of these products. By the way, in addition to the salt water taffy, HoJo restaurants usually featured a wooden box from which high-end lollipops were dispensed. And before my time, they featured their own chocolate assortments in a brightly colored box. I’ll post a photo when I get a chance. Hi Jenny. I am a collector of all things HOJO. You are looking for a conical scoop. The bowls have different sizes. I believe that Hojo’s used a #16 conical scoop. It was not just a Hojo thing, but I don’t know of anyone else that used those scoops. As a kid I loved those molded shortbread cookies served with dishes of ice cream and also the little brown corn muffins (not the toasties) served with dinner that were not sweet. I’d love to have recipes for those. My Howard Johnson’s was at the edge of Golden Beach, FL at the intersection of Collins and Terracina. 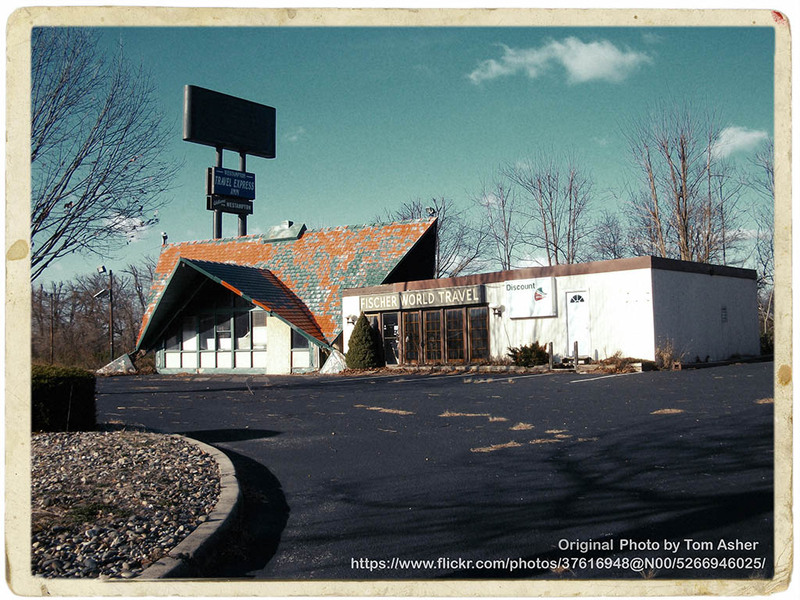 There used to be Howard Johnsons restaurants and stores on the Ohio turnpike in the 70’s. 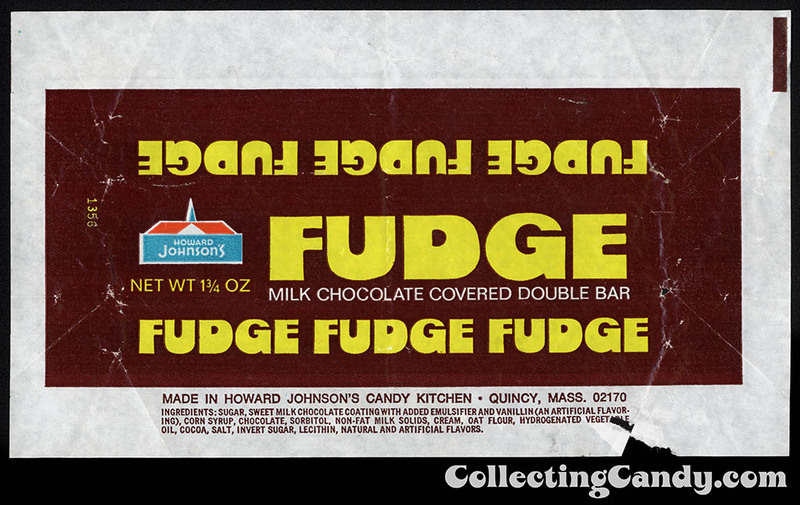 As a kid, whenever we traveled there, I would buy the fudge bars. 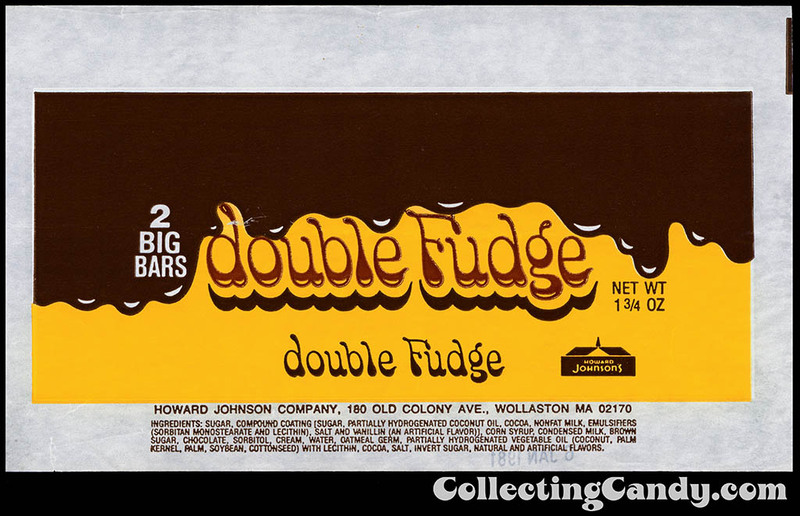 They were delicious, and my all time favorite candy bar. Since there weren’t any Howard Johnsons around where I lived, I would load up on them. 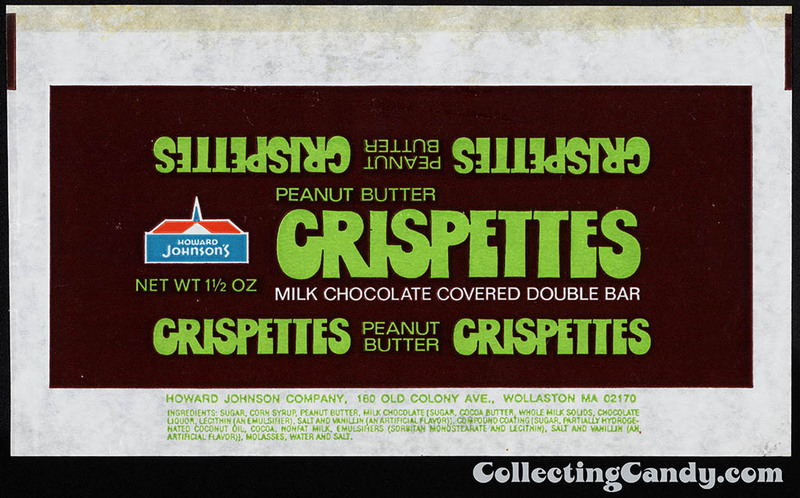 I still miss the Howard Johnson’s large chocolate covered wintergreen patty with its soft pink interior!!! My mother, sister and I would always stop at a Howard Johsnon’s when visiting Long Island almost every Saturday back in the late forties. Mom was on the hunt for a house on the Island and those trips remained in my mind for the stops at the Howard Johnson’s restaurant for lunch. Lunch always ended with either an ice cream cone or (my favorite) that enormous wintergreen patty. How I miss them. Does anyone remember the HoJo Chocolate Lollypop? It was a round molded lolly with a lighter color chocolate on top and then milk chocolate behind, it came in a plastic shell type package? I can’t even find a picture of it anywhere, would love to see one again! 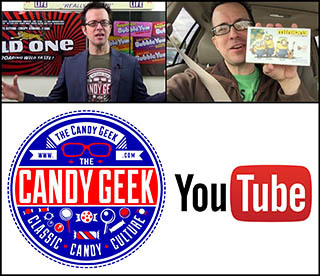 Believe it or not, all the memories of old fashioned candy from our childhoods, both east and west coast inspired my husband and I to open a candy shop! I also remember those lollipops as a favorite when I was a child, and am still trying to find pictures of them! I remember giraffes and zebras, and I believe a bear and a tiger. It was a full scene, with grass and trees etc. , not just of an animal. I thought there were scenes from history and famous people as well ; I do remember the Liberty Bell. Guess I’m not the only one still looking for those. I find it odd that I’ve never come across anything similar since then. No chocolate with scenes like that. 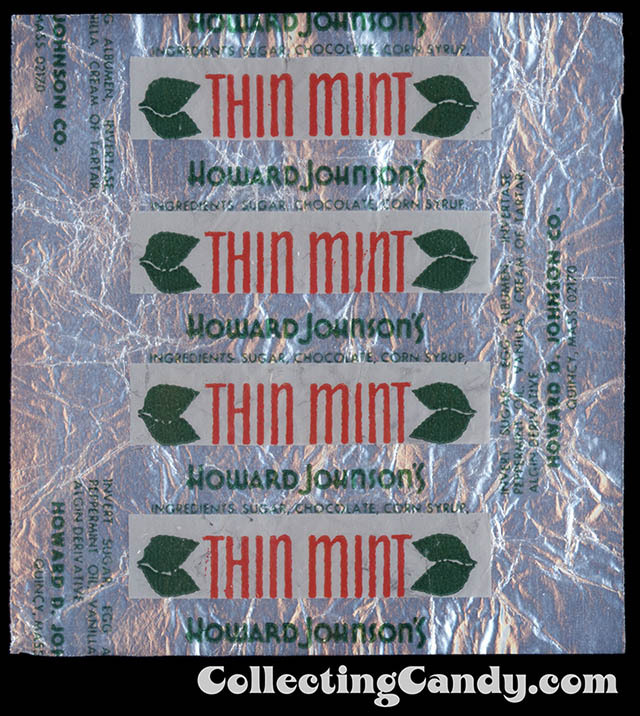 They always stood out as something unique to me, although I enjoyed lots of their other candy too. It’s really awesome seeing all the wrappers again!